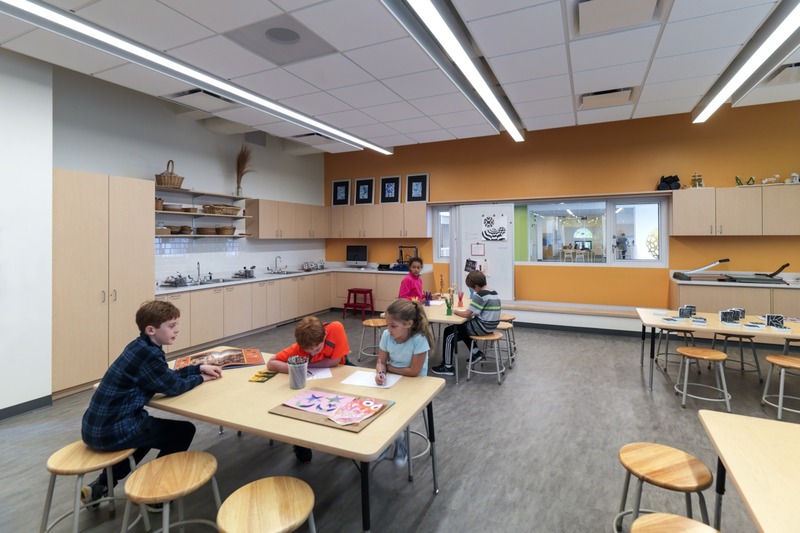 When replacing its 60-year-old gymnasium annex, Chiaravalle Montessori seized a rare opportunity to design a facility to meet the needs of its Montessori program. 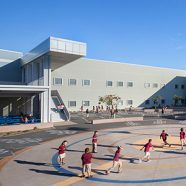 CannonDesign’s education team explored the ways core Montessori philosophies are expressed in shared spaces. 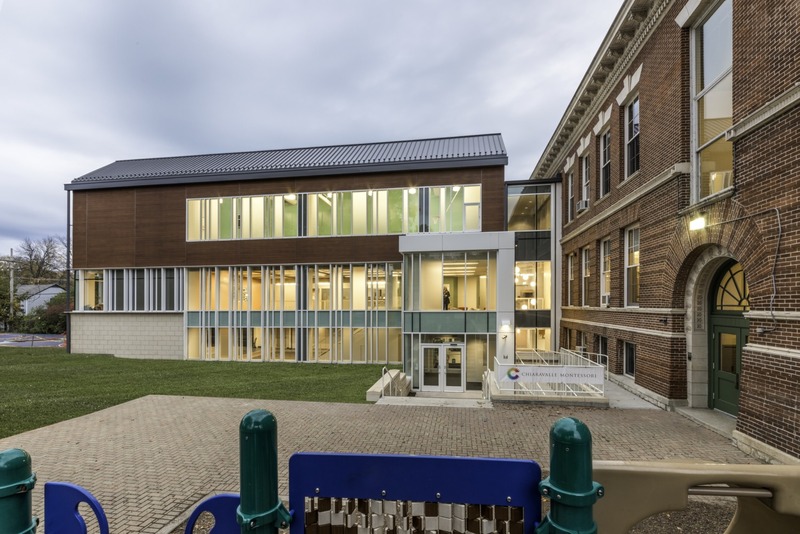 The resulting North Wing addition and renovation of the physical, arts and dining wing provides the opportunity to reinvent Chiaravalle’s heart and invitation to the community. 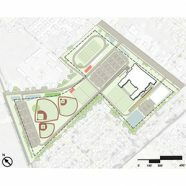 Through our community-centered process, the team integrated design conversations in cultural, pedagogical and strategic goals of Chiaravalle. The discovery phase revealed deeply held values and aspirations of the Chiaravalle community. The hands-on activation phase transformed principles to design drivers. 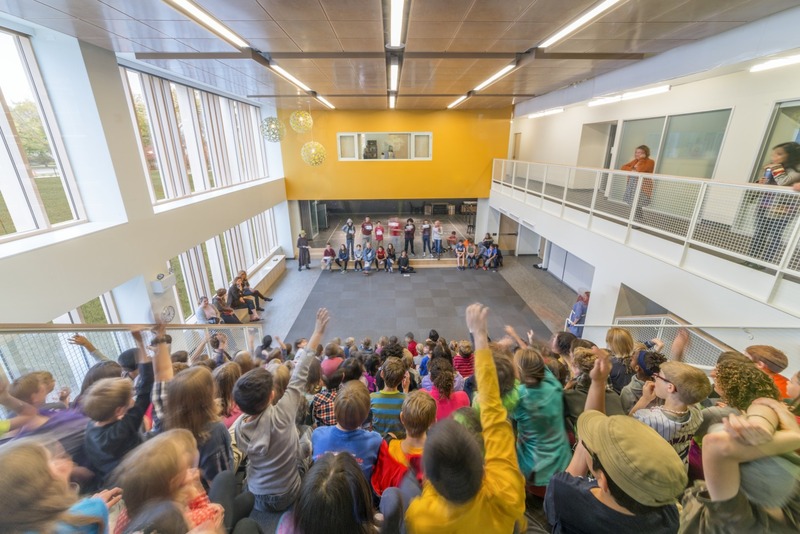 Designed with abundant natural light and a focus on bringing nature inside, the new 19,000 sf new North Wing expands Chiaravalle’s programming options for every child, offering more space for movement, collaborative learning, visual and performing arts, and community gathering. 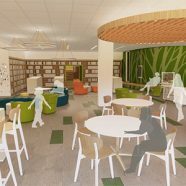 The project also includes 8,100 sf of renovation, including a second-floor corridor, the area surrounding the link to the new building, and the former fourth-floor library, which was converted to teacher resource space. 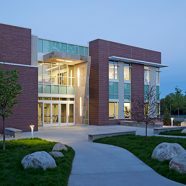 The new North Wing also provides a central entrance on the first floor, which offers welcoming spaces for parents and students to mingle. Adjacent gathering stairs support group and independent time and provide seating for events. 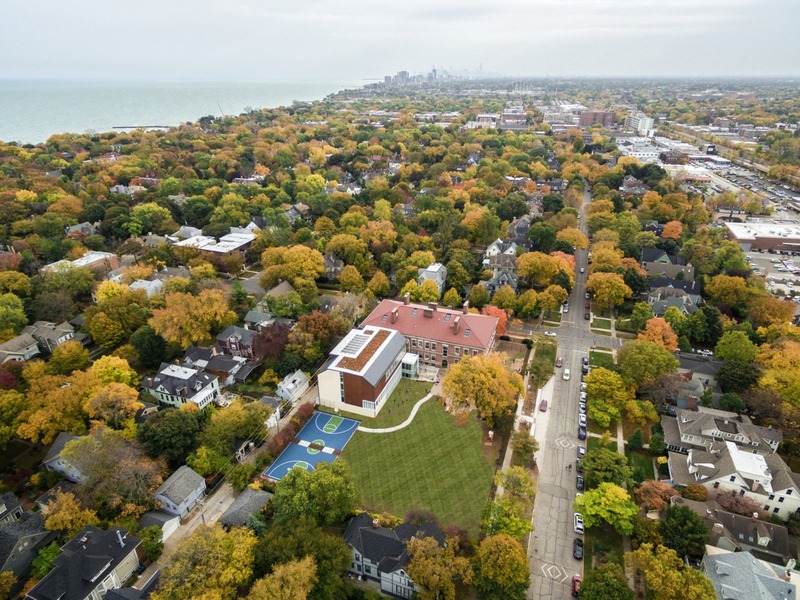 The Da Vinci Studio on the second floor integrates art and design with the study of science, technology, engineering, and mathematics to help students experience the connectedness of these essential disciplines. 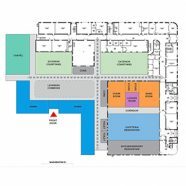 A new gymnasium on the third floor doubles the size of the previous facility and accommodates multiple functions simultaneously, allowing toddlers to exercise motor skills while sports teams practice. 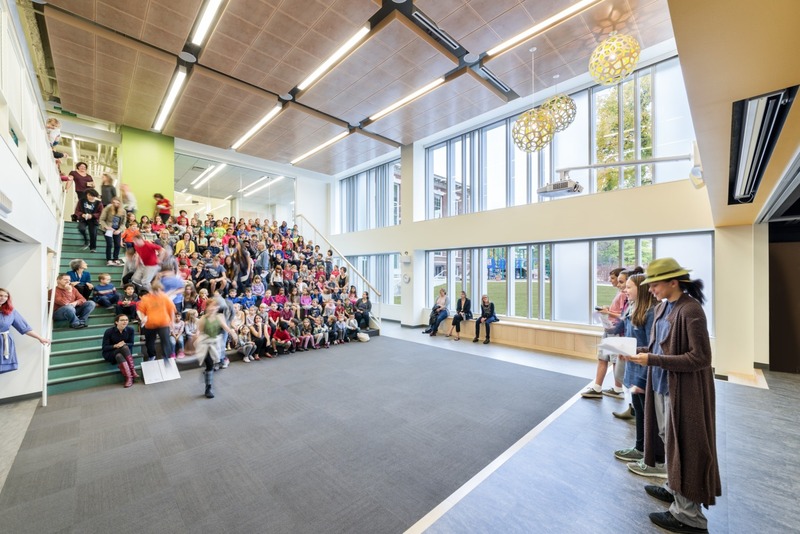 The project is believed to be the first LEED Platinum addition to a Montessori school in the United States. 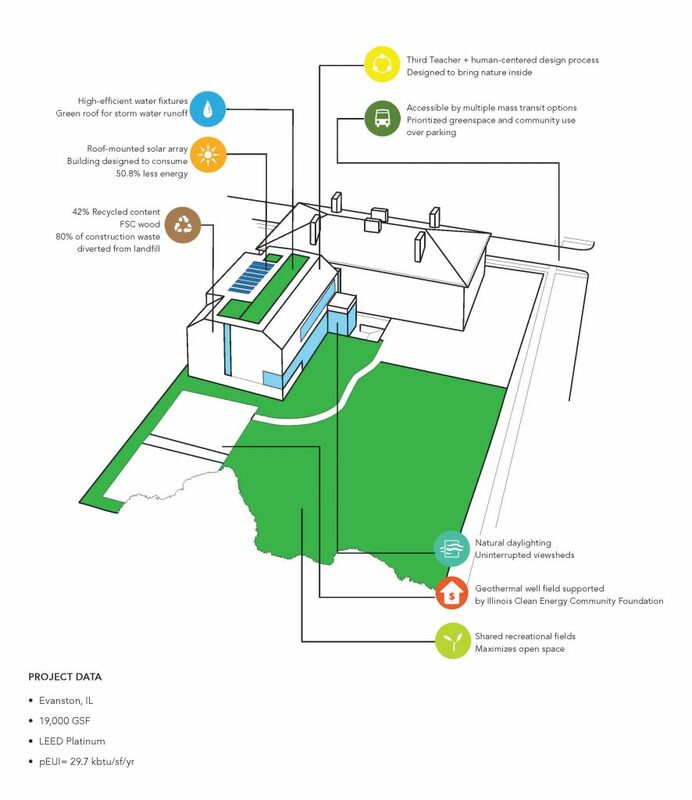 Sustainable features include natural daylighting throughout the building, photovoltaic panels, a green roof that efficiently manages stormwater, and a geothermal system funded by the Illinois Clean Energy Community Foundation. 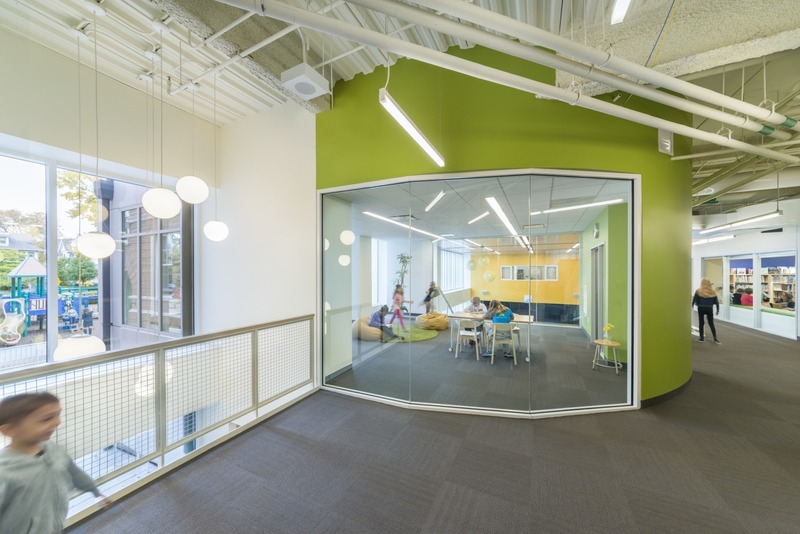 Having built a space around our vision of a child-centered Montessori education, we see how space can facilitate learning first and foremost. In the North Wing, students’ needs, curiosity, and creativity come first.